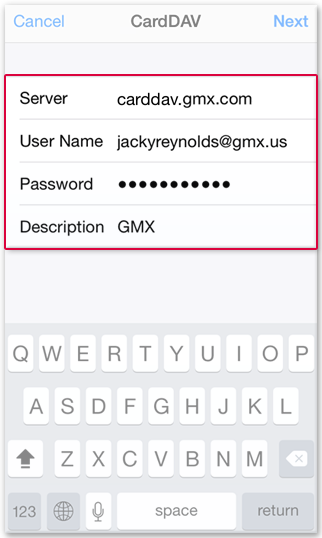 The cardDav protocol allows you to sync your GMX contacts with the contacts app on your iPhone, i.e. any changes made on your iPhone will be available on GMX and vice versa. Add your GMX email address and your password. Your Contacts will be synced from now on.